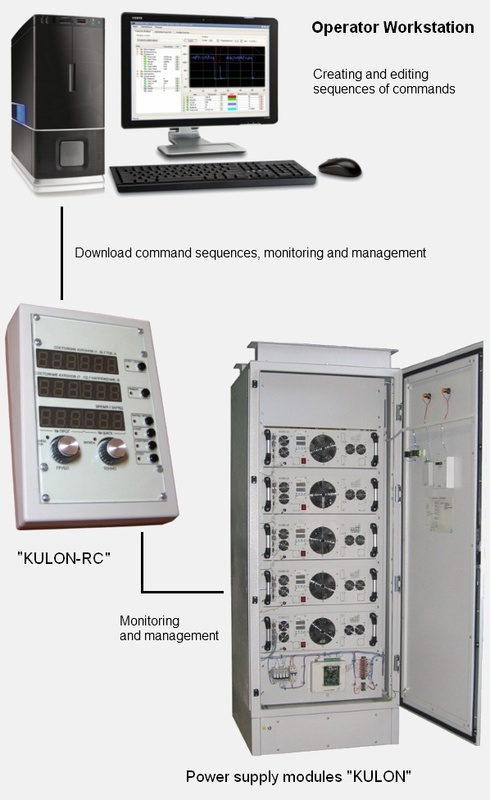 «KULON» is a series of modern modular switching mode power sources (SMPS). 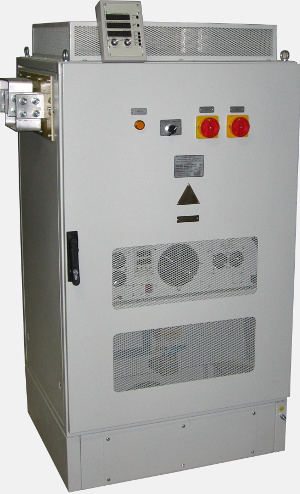 It converts three-phase input line voltage with parameters ~380V 50/60Hz into stable and clean direct current. 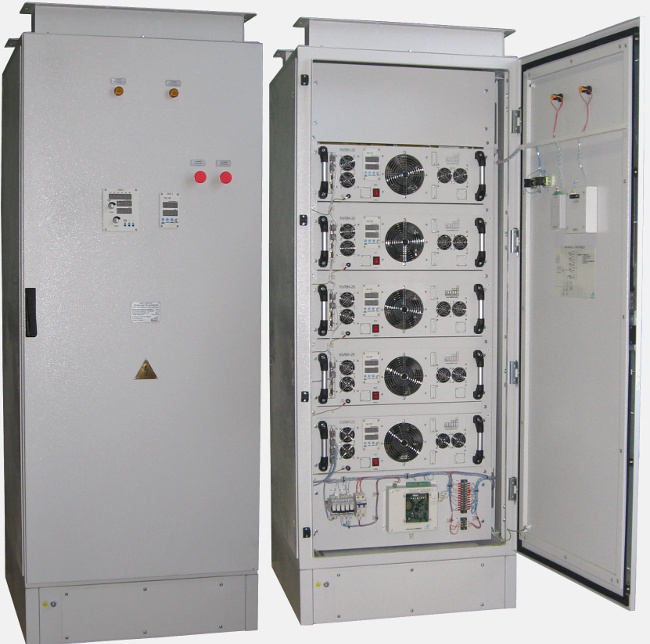 The series includes a variety of types depending on output current and voltage ratings, with top power of 20 kW and top current of 1000A. «KULON» contains all necessary devices inside including circuit breaker and filters. It doesn’t need any additional equipment to be connected externally. 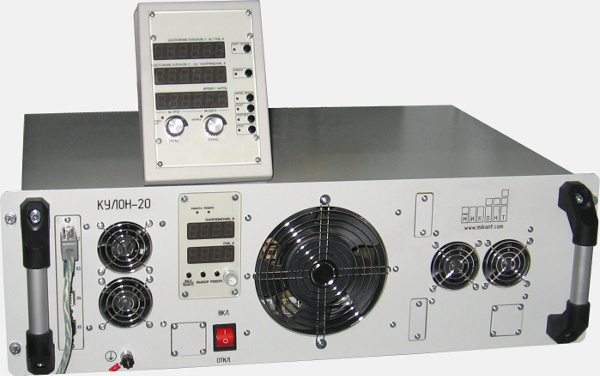 As a switching power source it has highly stable current with low harmonic distortions. 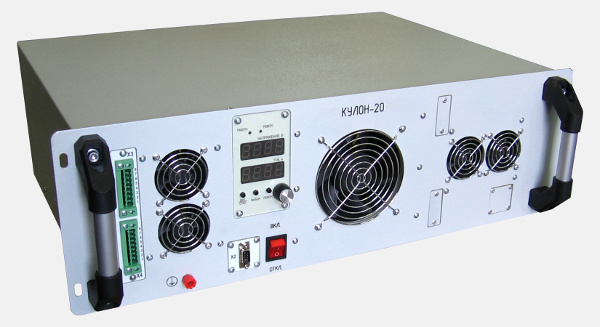 «KULON» consists of diode line rectifier, inverter with IGBT, transformer and output rectifier blocks. 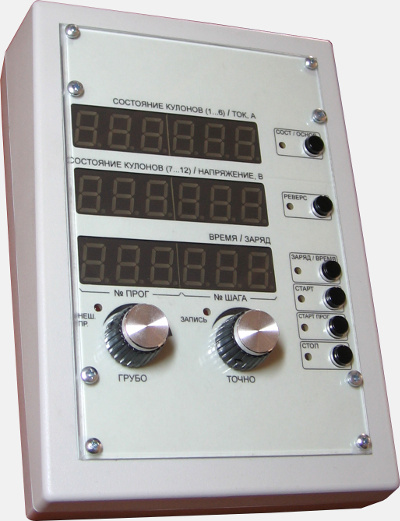 Dimensions of the power source are 650х480х220 mm. Compartments with electronics have an IP54 which prevent corrosion of susceptible components. With such protection the power source can be installed directly near the electroplating bath it feeds. The power source has a forced air cooling system. One can order reversible type of «KULON» if needed polarity switching. The reversing module is installed inside and it doesn’t enlarge dimensions of the box. 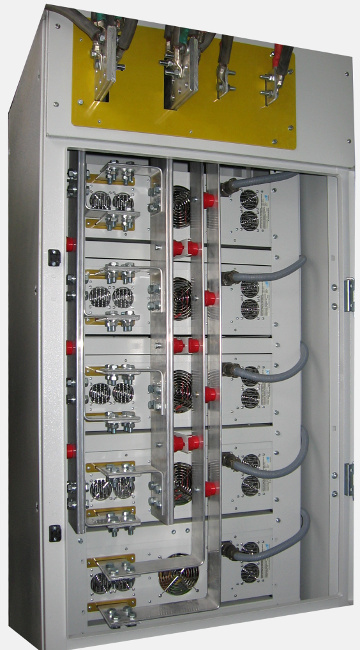 Connection of several (up to 8) «KULON» in series or parallel is possible to increase power. No additional synchronizing units are needed in this case. Power source consist from five «KULON» module. Back side.